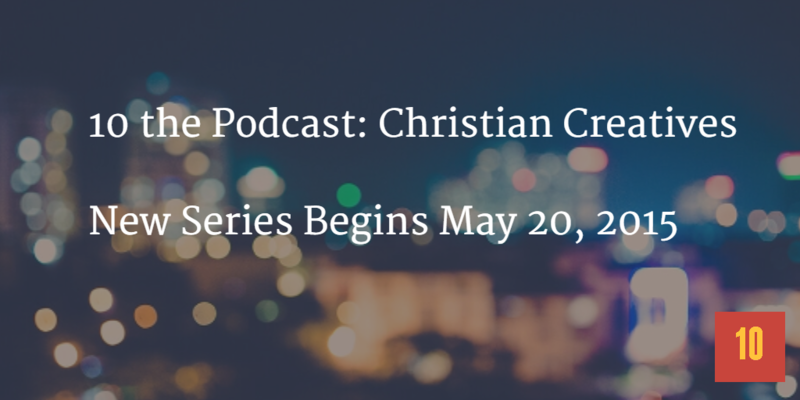 The next 10 podcasts in the series will be interviews with Christian creatives. What is a creative? Anyone who creates something for others to consume. It can be a blog, podcast, music, books, or online courses. At the moment I have five people in mind that I want to interview. I’m in the process of setting up those interviews and hopefully I can get them recorded ahead of time so that I can avoid the last-minute nature of the previous “top-of-mind” series. I will be limiting the interview portion of the podcasts to 10 minutes. There may be additional time before and after the actual interview but the time with the creative will be limited to 10 minutes. I also need your help. Please spread the word about the podcast. Also, take a minute or two to rate and review the podcast in iTunes.